The Vegan Cakery, in conjunction with long-standing stockist Cafe Mbriki in Leicester city centre, offers an extremely popular ‘Order & Collect’ service. Customers can place an order with TVC via email then collect their freshly baked purchase from the delightful cafe at 10 Carts Lane, just off the High Street and close to Leicester Cathedral. All ‘Order and Collect’ deliveries are normally made to Mbriki on a Wednesday morning and the option is perfect for those travelling to Leicester or Leicestershire for a day out, or anyone working in the city who may not be able to receive deliveries in the daytime. Moreover, it’s the perfect chance for those who aren’t within the hand-delivery catchment of The Vegan Cakery to sample products which aren’t available for postal delivery – such as delicate pastries like Mille-Feuille. 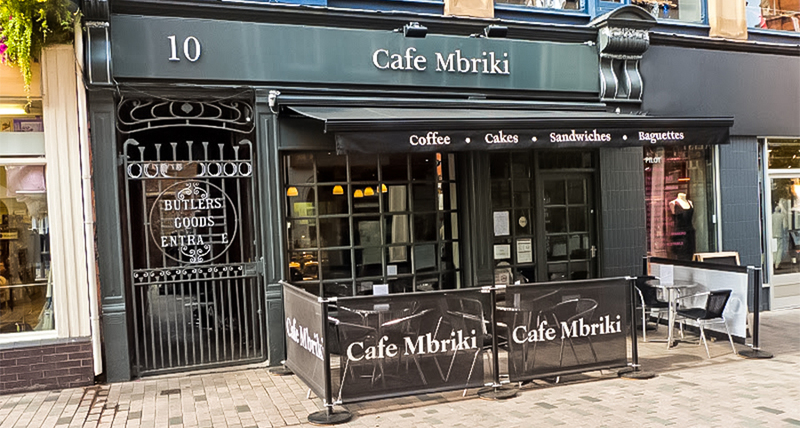 Why not double-up and enjoy a tea, coffee or other beverage at Mbriki while there too! With no delivery charge payable, what is there not to like?